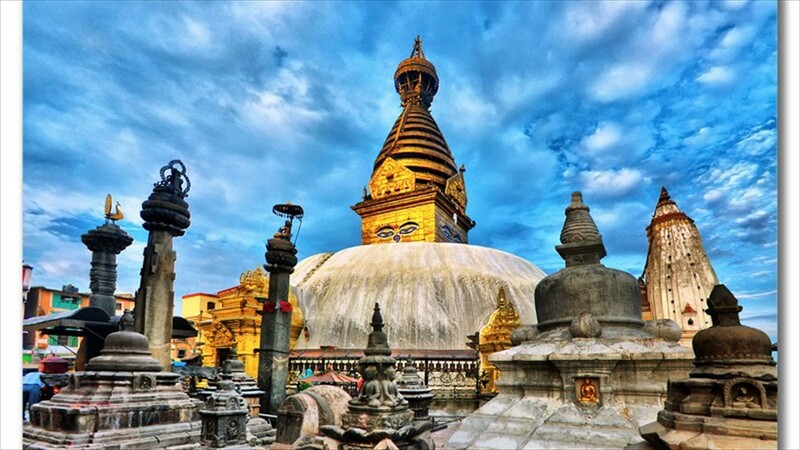 Ancient Hindu temples and Buddhist monasteries which exhibit attractive architecture, colorful street markets, valuable historical monuments and much more makes Kathmandu, a spectacular tourist place to visit. It does not matter whether you are a nature lover, adventure seeker, or spirituality which provokes you, Kathmandu is a destination that is capable of serving you with all kinds of tourists. You can experience the line crossing the beauty levels, witnessing a spectacular view of Mt. Everest. The presence of the mountain peak in Nepal contributes to a lot of adventure to it the capital city- Kathmandu. The capital in itself comprises a list of tourist places. Kathmandu is a prominent tourist destination and credit for its popularity goes to the large numbers of Hindu temples and Buddhist monasteries it consists of. It is believed that Queen Mayaidi gave birth to Siddhartha Gautama, who later became the founder of the concept and belief of Buddhism. For those who believe in mythology, this place is a pilgrimage site for quite a good number of people. Visiting Lumbini is one thing you should do in Kathmandu. the most famous is the Mayadevi Temple, including a lot of temples in the area. The spirituality and the air of serenity is something that attracts a large number of people annually. It is a must visit the place to visit in Kathmandu. Shivapuri National Park is draped with beautiful forestry which excites, enthralls, and forcefully invite to see its charm. The ninth national park bird in the country is known for bird-watching paradise. This place has more than 300 species of birds and many rare orchids. Forest comes alive with a diversified range of flora and fauna. In 2002, the park was established and known to be a famous tourist place near Kathmandu. Quite a number of herbs bloom in the place, while the entire park is full of broadleaf forests. The place enriches in wildlife diversity including animals like barking deer, jungle Cats, and Indian Leopard, Yellow Throated Marter, Himalayan Black Bear, Hanuman Langur, clouded leopard, leopard cat, and wild boar among other animals. Ornithologists (a person who studies the branch of zoology which deals with a scientific study of birds) have claimed to record over 318 species of birds at the place, including Eurasian eagle owl, barred cuckoo dove, and golden-throated barbet. Timings: Open at all times, but entry times differ. 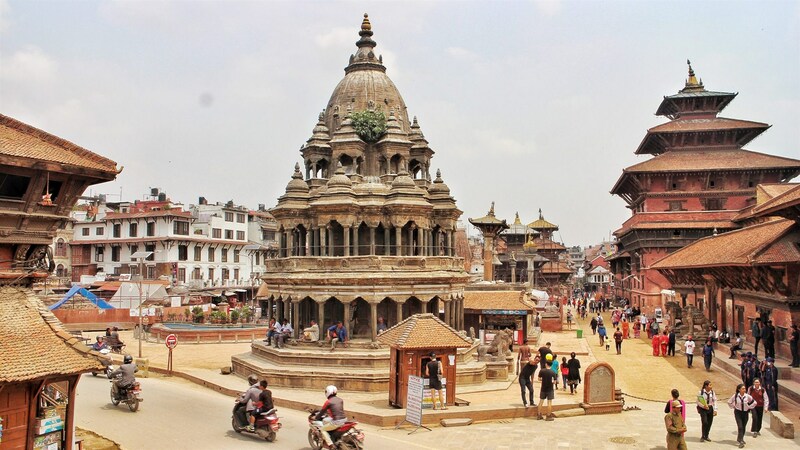 Just explore the Kathmandu’s culture or history of Kathmandu or the attachment in the world of the capital by visiting Durbar Square is a World Heritage Site declared by UNESCO which is located in front of East Kathmandu Palace Empire. And originally known for its vivid displays of artists and craftsmen. The palaces and squares have gone under reconstruction on several occasions which are adorned with the stunning beauty of Nepalese culture. In this place, the museum and other parts of the castle have been opened to visitors. Kumari Chok is also included as home to this place- it is one of Nepal’s most curious attractions. Here is an embellished metallic cage contains Kumari, a girl who was chosen as the human rebirth of Hindu Goddess Durga. 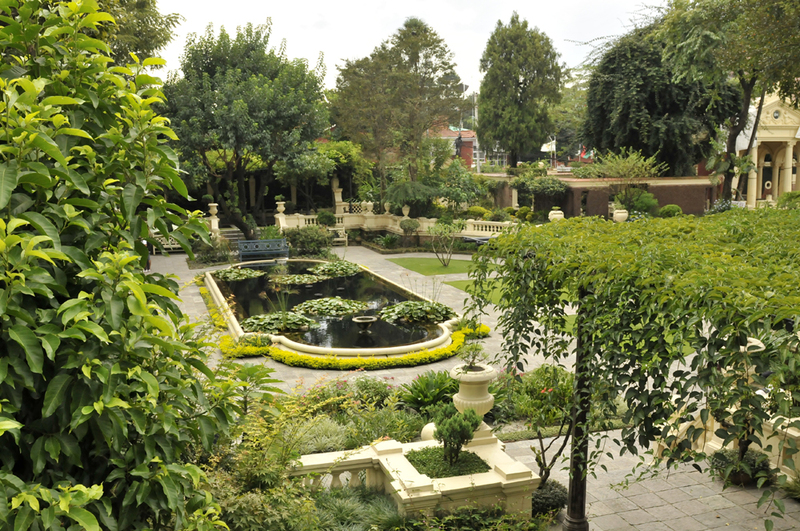 Garden of Dreams is also known as Swapan Baigicha, which is a popular tourist destination in Kathmandu that provides relief and rejuvenation from world stress. It is one of the most amazing places in the world. 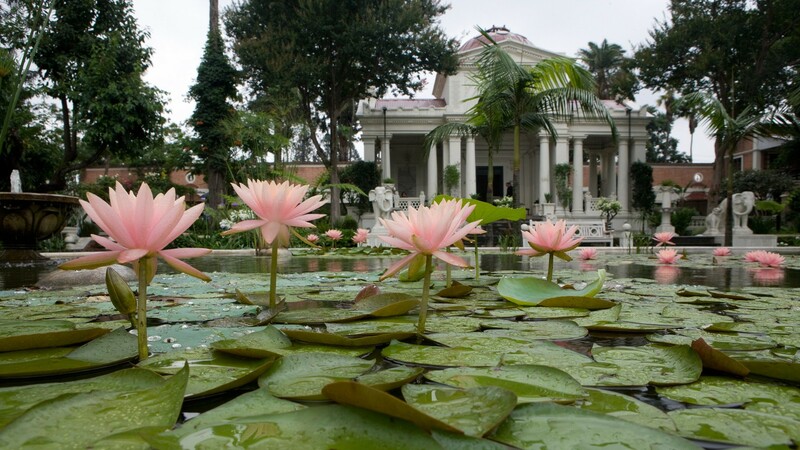 The garden was built in the 1920s and was given a new life by the Austrian financed team. There are gorgeous and sophisticated details in the wonderful restored garden. The place also has rich marble inscription from Omar Khayyam’s Rubaiyat, beautiful fountains, and ponds. The place is also home to the “hidden garden” and features three pavilions. 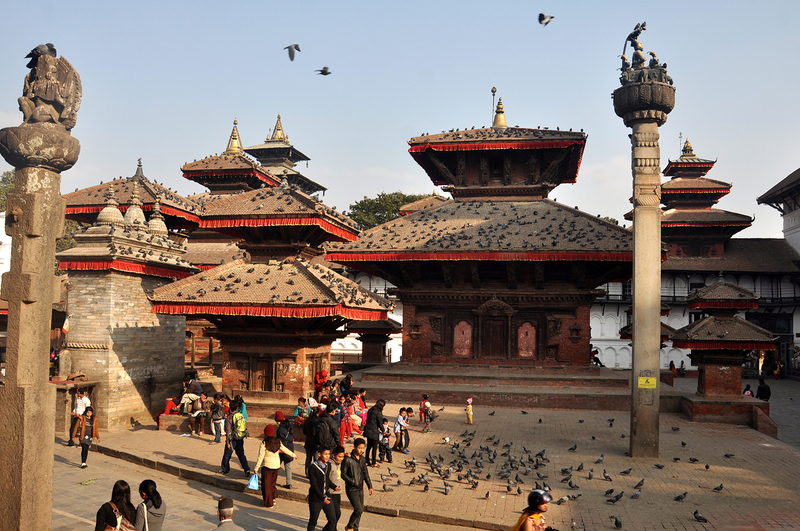 Hanuman Dhoka comes under Durbar Square of Kathmandu as its part consisting complex buildings which include the royal palaces of Malla kings and Shah Dynasty. There are palaces inside on the entrance of the door and is also the entryway to the Nasal Chok, Mul Chok, Mohan Chok, and the Tribhuvan Museum, which features the royal belongings of King Tribhuvan. This museum is close to Swayambhunath, one of the most beautiful monasteries in the world is a huge museum on the walled campus. There are some of the most interesting treasures on display at this National Museum, which makes the Chhauni museum a tourist spot in Kathmandu, a must visit the place. You will get around to see Judda Art Gallery, home to finely detailed metal, terracotta and stone statues of Nepali deities. Cloth paintings are also the highlight here. This museum includes Buddhist Art Gallery styled in the temple. Life-sized Jayavarman’s statue is here at this place. The place signifies everything right from informative displays to stone depictions of Buddha. The place has either cannon as well, seized during the 1792 Nepal-Tibet War. A religious place, Ashok Vinayak Temple is the place which should not be missed. Between the remains from the temples, a small golden temple is situated on the top of the Maru Tole, this temple is one of the most important holy places in the valley. Lord Ganesha is one of the most beloved gods in Kathmandu’s local people and therefore, the place of worship has hundreds and thousands of visitors every day. 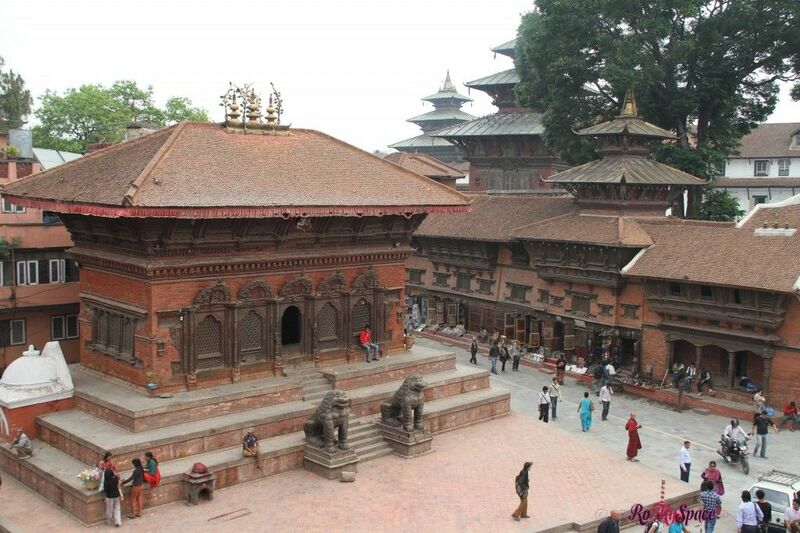 Place holds high regards in Kathmandu and a must visit tourist destination in Kathmandu. Make sure to visit the temple if you are heading towards a trek or wish to explore the place at its best. 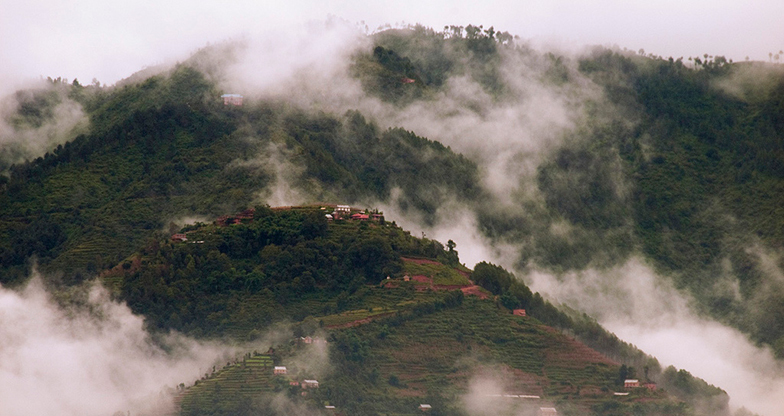 Nagarkot holds the top tourist place in Kathmandu. Travelers can enjoy the Himalayan views and panoramas. Nagarkot is known for its amazing natural beauty and many hotels. The village is baggy with the hotels and the accommodations, so you can see nature directly from the balcony. The sightseeings themselves are breathtaking and can be very cold here! The top-notch attraction of this place is that 8 out of 13 Himalayan ranges in Nepal are visible from this place. The sunrise view of the Mount Everest is just mesmerizing and the place is known for its splendid views of the Rolwaling range, Kathmandu valley, Shivapuri National Park, Number Forest, Ganesh Himal, and Langtang range. The location is really quite strategic. In earlier times, this place served as the ancient fort for the Kathmandu valley. At that time, it was used to monitor other empires. Today, this is a popular hill station, where you can stay and enjoy a happy holiday. During the holidays, Kathmandu can be quite crowded. But if you want someplace peaceful and quiet, then you have an ideal place for you. This is the Royal Botanical Gardens. This place is bizarre and great for walking and picnic. However, you would like to avoid it on Friday and Saturday, as school children often go to that place. During the earthquake the place was slightly damaged, the repairs are under process and the place will attain its glory back. The visitor center is the prominent highlight of this place where you will experience abundance in variety of Nepal’s flora. Cactus house, orchid house, and a tropical house surround the garden. Amid the center, there is a coronation pond with a pillar. Explore sparkling nights, rendezvous (get-together) with the wild and find happiness in nature by going to Langtang National Park. 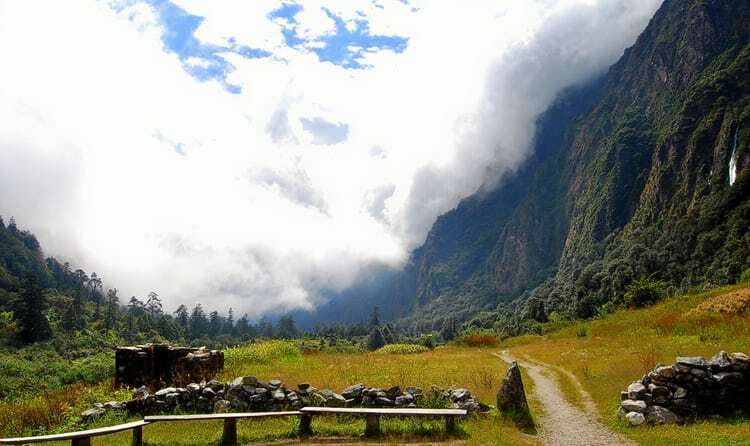 The fourth National Park and the first Himalayan National Park of the country comprise of 26 Village committees. 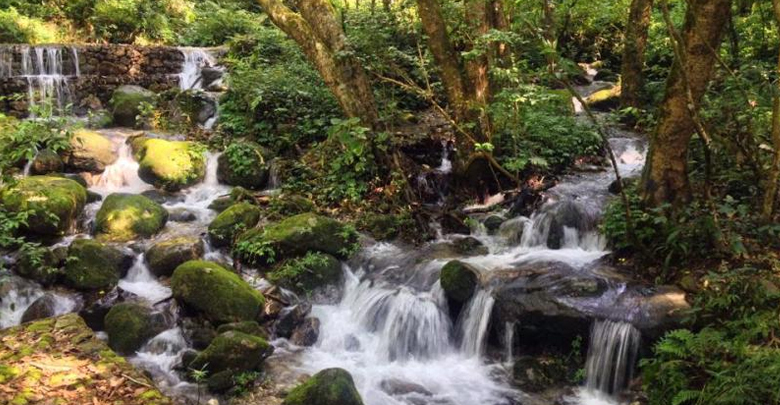 Surprisingly beautiful parks have borders with Tibet and follow the course of Bhote Kosi and Trisuli rivers. With the forest of pine and bamboo trees, this park catches the attention of your eyeballs immediately. It escalates up through the pastures on alpine meadows and the place where you will find excellent mountain views. Flora and fauna of this place are absolutely incredible, it is one of the reasons why it is perfect for hiking and camping trips. An ideal trekking place is what makes this place in Kathmandu more special. A brick building located on Durbar Square in Kathmandu. But the building is beyond its architecture and has that interesting factor to offer – it is the spiritual rebirth of Goddess Durga. There is a belief that a girl here is the living Goddess of Kathmandu. Once upon a time, the temple was known for its outstanding carvings and divine inhabitants. Today it is famous for being the home of most living Goddesses. 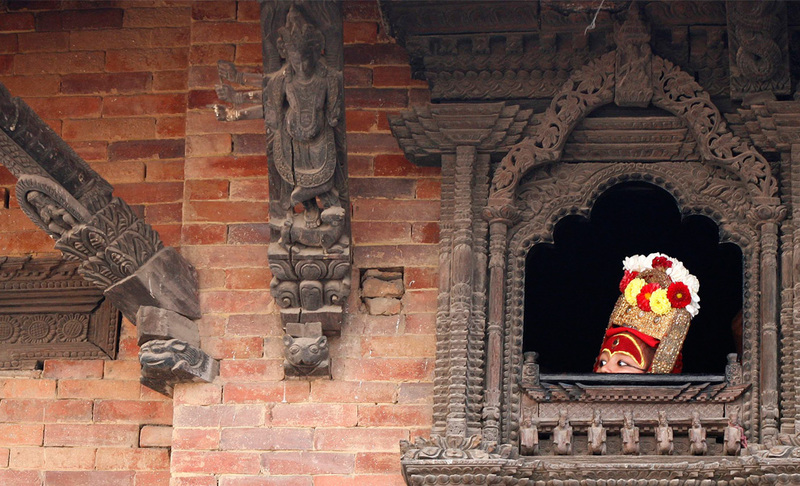 Here, tourists will get wooden carved relics (something saved from the past) of gods and symbols in Nepal and they can find places through a courtyard. The living goddess often appears on the first-floor windows. But it happens in the morning or late afternoon. Kumari is a young girl and it is believed that in her manifestations, she can answer the questions of the devotees. Located at the top of a hill in Kathmandu valley, this tourist spot in Kathmandu is an ancient architectural wonder which is one of the city’s best attractions. The stupa is surrounded by the shades of trees. It includes the main stupa, many holy places, temples, monastery, museum, and a well-stocked library. The temples are depicted with the eyes and eyebrows of the Buddha, in which the local script is portrayed as the nose of God with number 1, which is worth watching sight. Best time- Throughout the year. Hinduism is the most widely followed religion in Nepal. The country has clinched this religion and respects it with many sacred places including Pashupatinath Temple. The holy place is considered one of the most important temples in the world and is considered one of the most visited tourist destinations in Kathmandu. It has been decades since the complex is designated in the UNESCO World Heritage Sites list. The Hindu temple is a collection of images, inscriptions, ashrams, and temples. As per the Hindu mythology, there are 12 Jyotirlinga in India and the one in Nepal is the head over this body. The temple has 275 holy abodes of Shiva as well. Temple architecture is very interesting because it is built in the Nepali Pagoda style of architecture. The wooden ceilings are carved with perfection, while the overall foundation is like cubic construction. The Sacrosanctum here is that of s stone Mukhalinga or a linga with a face. In Nepal, a major mountain peak, Phulchoki is surrounded by the valley of Kathmandu. The literal meaning of the mountain is called ‘Phul’ to reflect the flowers. This place is a natural garden of flowers and everything is bright-beautiful! The mountain seems like a tray served with wild roses, along with iris, yellow jasmine, and several indigenous flowers. The trekking doesn’t take more than four hours. 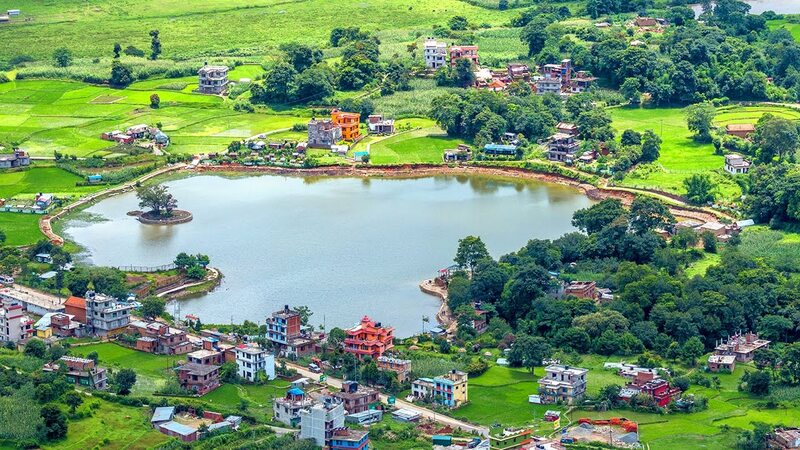 Taudaha Lake, a small lake situated in the outskirts of Kathmandu, Taudaha represents the ‘snake’ and ‘lake’. From mythology only, the name is picked, in which it is believed that a Buddhist mythical character Manjushree had cut the hill to drain the water of this lake and this is the reason why the lake looks smaller than it used to be. However, due to the depletion of lakes, countless nagas, mythological creatures who were half snakes and half humans left with no homes. And therefore, an underwater lake or Taudaha was built, where the king of the snake and the subjects lived. That’s why the lake is considered calm. A lake is a perfect place for birdwatchers, as a number of migratory species visit the place. Next article25 Mind-Blowing Facts About India That Will Leave You Stunned!